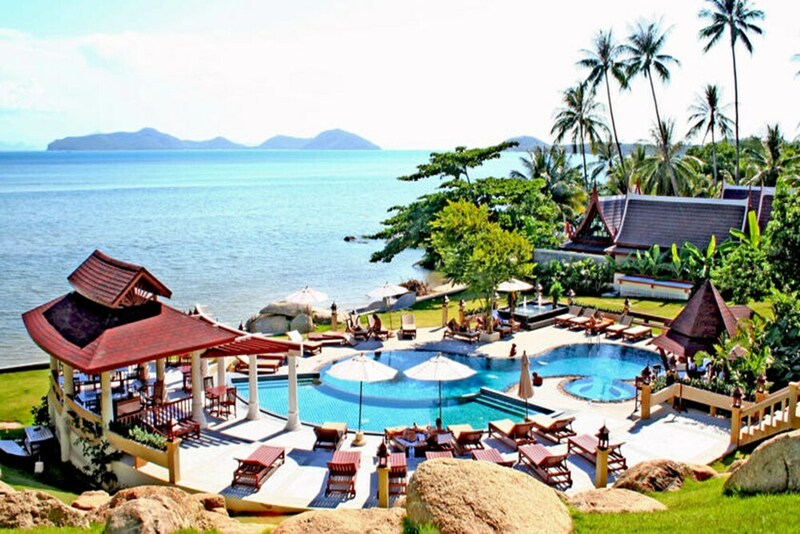 Banburee Resort and Spa is a 4 star hotel in the resort of Koh Samui, within walking distance of Samui Butterfly Garden. The property offers a stay with quality services and outstanding facilities. All rooms have telephone Banburee Resort and Spa, balcony, refrigerator, hairdryer, bathtub and television with satellite channels. The hotel has 40 rooms. Amongst the hotels facilities are a pool bar, restaurant and wellness areas with sauna, jacuzzi and Turkish bath. The hotel also has a swimming pool, a landscaped area, a medical centre and an outdoor area. If you are traveling on business, this property offers both a business centre and a meeting room. The property offers guests tourist information, reception with safe, porterage, nursery at a surcharge, 24-hour reception, free transportation to the mall, concierge, local transportation options, free parking, luggage, laundry service and Wi-Fi internet.